Book Corner – Red Roses by Amy Licence – History… the interesting bits! Red Roses: From Blanche of Gaunt to Margaret Beaufort traces the story of the women of the House of Lancaster, from the children borne by Blanche, wife of John of Gaunt, in the fourteenth century, through the turbulent fifteenth century to the advent of Margaret Beaufort’s son in 1485 and the establishment of the Tudor dynasty. From the secret liaisons of Katherine Swynford and Catherine of Valois to the love lives of Mary de Bohun and Jacquetta of Luxembourg, to the queenship of Joan of Navarre and Margaret of Anjou, this book explores their experiences as women. What bound them to their cause? What real influence did they wield? With this book, historian Amy Licence has excelled herself. Red Roses is a thorough and comprehensive examination of the lives of the women of the House of Lancaster, from its inception with the marriage of Blanche of Lancaster and John of Gaunt to its crowning glory, with the regency of Margaret Beaufort for her 17-year-old grandson, Henry VIII. I have waited eagerly for this book, bringing together all the Lancastrian ladies in one volume was an incredible undertaking and has been achieved with great skill and tact. As I have researched several of these ladies myself over the last year I was keen to see if Amy Licence’s own opinions and theories differed greatly from my own. (And I was happy to see I hadn’t made any glaring errors in my own assessments). I was amazed at the detailed research involved in creating this book, and the little extra snippets of information which the author has found, but which had eluded earlier historians. There are several new pieces of information brought to light, which were previously unknown – and I will have to edit some of my own articles, including those on Blanche and Katherine Swynford in light of this new information. This meticulously research is presented in a largely chronological format, detailing not only the lives of John of Gaunt’s 3 wives and of the major Lancastrian wives who came after, but also of women with less obvious Lancastrian links, such as Joan Beaufort, queen of James I. The author takes care to bring to light the struggles of some and the near obscurity of others; demonstrating how some women became the centre of attention, stepping into the limelight, while others remained influential only in the family sphere, bringing into the world the next generation of the dynasty – or dying in the attempt. She considers how some were bargaining tools in international diplomacy, while others were tainted by scandal, how some were countesses while others were queens; but they were all great and interesting ladies worthy of our attention. Amy Licence emphasises the deep sense of family and duty each woman felt towards the Lancastrian dynasty. 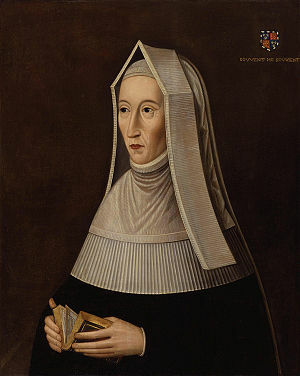 She skilfully highlights the changes in the actions and responsibilities of the women over time; clearly demonstrating the differences in expectations from the marriage of Blanche of Lancaster to the marriages of Margaret Beaufort. Ms Licence’s passionate narrative builds on the lives of these women, demonstrating how events impacted on them, and how they influenced those around them, not only in their close family spheres, but also on the international stage. The work analyses the effects on the fortunes of the dynasty and the lives of the women, caused by plague, war and political machinations and discusses the vulnerabilities and risks of being a woman in the later middle ages; from childbirth to accusations of witchcraft. 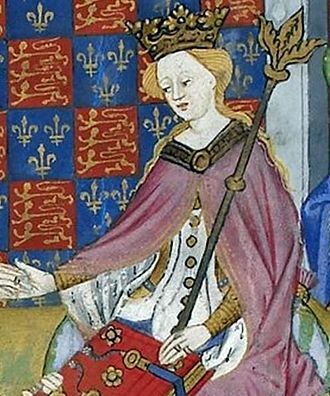 It appears that the ideal Lancastrian woman of the fourteenth century was essentially well bred and beautiful, an adored wife and mother, pious and dignified, devoted and loyal to the dynasty’s cause. Yet, as the fifteenth century advanced, women marrying Lancastrian husbands increasingly began to step outside this role, to challenge it and redefine concepts of femininity and rule…..
A great strength of the book, which spans a 150-year time period, is the way in which the author successfully maintains, throughout, the links between the various eras in which these women lived. She displays a deep understanding of how traditions and perceptions will have changed over time during the period under investigation. After all, how much has life changed for us since 1866? The text provides thorough analysis of primary and secondary sources, and even includes assessments of popular fiction classics and arguments put forward by contemporary historians. These assessments are fair, persuasive counter-arguments professed with demonstrative respect for the authors in question. In the end, however, Ms Licence presents her own findings in a clear, convincing manner. The only minor bug-bear I have with the book is the title. Blanche of Lancaster was never actually known as Blanche of Gaunt, but I guess it will make the book appear to a wider audience; as so many more people have heard of John of Gaunt than have heard of Blanche. I love the way Amy Licence clearly explains the relationships between the disparate Lancastrian women, whether it is familial, chronological, or by experience. For example, Katherine Swynford is discussed not only in respect of her relationship with John of Gaunt, but also as governess to his children, companion to his daughter-in-law and as matriarch of the extended Lancastrian family. This is a comprehensive and thorough analysis of the lives of the Lancastrian women, told in an engaging and entertaining manner. Amy Licence tells the story, not only of the individual women, but also of a dynasty; and how that dynasty was held together by the wives and mothers essential to its survival, continued existence and eventual success. She also takes care to demonstrate how responsibilities and perceptions changed through time, affected by events and changing circumstances. I have to recommend Red Roses as a thoroughly enjoyable read. The author engages with the reader from the outset, drawing you in to the lives of these varied and remarkable women, demonstrating how they all fit together in the story of the House of Lancaster, like the individual pieces of a jigsaw. In short, this is a wonderful book, telling the story of a dynasty and, in my opinion, Amy Licence’s best yet. Amy Licence has been a teacher for over a decade. She has an MA in Medieval and Tudor Studies and has published several scholarly articles on the Tudors. She is an author and historian of women’s lives in the medieval and Tudor period. 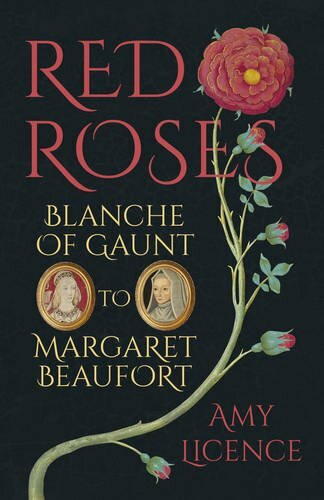 Red Roses: From Blanche of Gaunt to Margaret Beaufort is available on Amazon in the UK from Monday 7th March and in the US from Monday 15th March 2016.